NOTE: DanceForms was updated to version 2.0 in summer 2010. Here is a link to the purchase page (repeated lower on this page). It runs about $180 per individual package. In 10 or more it runs about $50 a seat. As of mid 2012 a newer version is available (2.1) just for Macs with the new Lion operating system. This course uses the Dance Forms Practical Guide exercises as the body of this course. It is available from Credo Interactive directly in print form. It is also available as a PDF (portable document format) for download and on the class disk. The help files are also all in PDF and constitute the same material as the software manual. Those too are available in book form or in PDF (on the class disk) as part of the help files. Although the resource files on the class disk are handy they are handier still when copied to a USB drive. Further, the USB drive can hold your class projects and your final project and any files it needs. So the best way to use the class disk is to transfer the files to a USB drive and then use that drive to store your work on. Get one with enough file storage space to hold all your files and your work. The class disk currently has a shade less than 900 megabytes of files which is a little less than one gigabyte. To make sure you have enough space for these files and any other file you may wish to combine with it get at least a 2 gigabyte drive, and a 4 gigabyte drive is recommended. Remember, you are going to be creating video ouput to MOV (QuickTime) files and you might also be using a video file as a background. The video file output is far larger than the project files. Save, Save, Save your work on a regular basis. There is no auto-save or auto-save backup in DanceForms. So before losing a lot of work make sure you keep saving it in case of crashes. If you are using the class disk click here for Dance Forms Practical Guide - The exercises book. ( The link above works on the class disk only which also contains the "Help/Practical Guide" folder). Practical Guide Support Files for the tutorial - Each exercise also has animation files (and pallet files) for each exercise (extension "lfa") in the DF_Practical_Guide_Files folder on this disk. The iMacs in GH-222/331 are running a Mac Version of DanceForms. 222 is the classroom. It has 9 iMacs. 221 is next door to the classroom, with another 9 machines and even has a connecting door. This is a lab, open to anyone, during operating hours (check the schedule on the door). Note: In the past we have gone through an emulator and a dual-boot usage for the software on the iMacs. There were various instability problems. Now the program is running natively in Mac OS and is very stable. Even So - Save, Save, Save your work on a regular basis. There is no auto-save or auto-save backup in DanceForms. So before losing a lot of work make sure you keep saving it in case of crashes. EVERY time you make a change or two - save. The iMacs in GH-222/331 are running a Mac Version of DanceForms. This is the second floor, south east corner of Grant Hall. Always keep in mind that you will be graded on the final project, not the exercises. The exercises are "toolbox" introductions for your final project. The purpose of putting a plan for the final project at the start is to get it working in your mind. Otherwise it is easy to forget until way late in the semester. Expect to change it as you go, just get starting with the ground work (no pun on floor work) now. Also, you already have in mind a number of choreographies you would like to do or have done or in the works. You can leverage this by taking about a minute and a half to three minutes of the routine to use in planning your final project. Keep it fairly simple. See the project notes below. Remember, this is taking something you know well (dance) and imposing it on something most of you don't know (animation). You will need to find out conciously how to use DanceForms to do things you already know how to do in your sleep. About the Final Project PLAN - The plan needs to be the first assignment. It is not fixed in stone. This is a starting point and a general reference for you. But all the individual lessons are toolkits from which you are able to pick and choose in producing the final project. Pick a piece of music or song to choreograph. Length should be a minute to three minutes. To include attributes from the exercises on the list below. Final turn in piece is the project file (lfa), the pallette you create (lfp), music file and the final rendered file as an MOV (QuickTime) movie. Your main work in the class is the final project. You should be working on this from the start. All the exercises are designed to give you a basic toolkit. 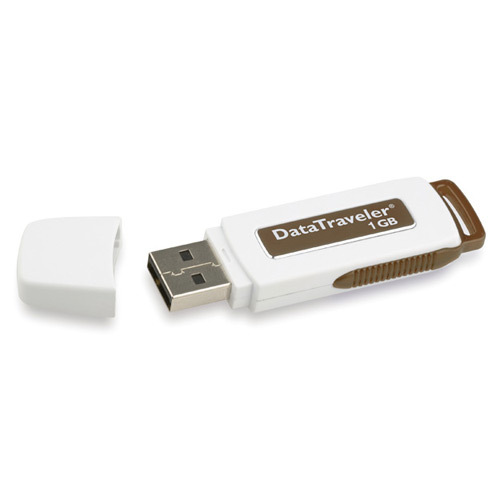 Students should plan to get a flash stick “thumb drive”, where they can store their work. These range in size (& price) from about 4 gigs (at approx. $4-$10) to 8 or 16 gigs (at approx. $9/$15 to $20) depending on where. Office Depot is mid to high in price. MicroCenter in Overland Park is lowest in price for USB 2.0 and 3.0 drives with the "MicroCenter" brand (available at the checkout counters). This will be a verbal description of your plan for your Final Project. Name of the music of your piece. Verbal Description, with planned opening, concept/theme, entrances, exits, finish. In your description, describe how you will use each of the exercises at least once. Turn in your Project Plan, and music file, via email, to: EnglishN@umkc.edu. You can change your Project Plan later, if needed, but it is better to have a plan, than not. Create the animation that includes each of the exercises at least once. Ideally, it will conform to your Project Plan, (even if you need to revise the Project Plan). Save the project work file on your own flash stick. Show the Final Project to both Instructors. Present to the Class and Instructors. Save the MOV file to your own flash stick to share with others. When you export your project to an MOV (Quicktime movie) file the music track does not stop when the animation stops - unlike the behavior in DanceForms while you are editing your project and you click the play button in the panel. Because export fails to cut the audio at the animation end it can lead to a lot of blank video with sound after the end of your actual animation ends. To fix this you need to edit your music to end at the same time as the animation. This is best done after you know how long your piece is. If you are not sure how to trim your music track, we can help with that. You can use the text form below the short horizontal line to organize your Final Project Plan. Just copy and paste this into a word processor, then type and save. When done, attach the form as a document and send, via email, to: EnglishN@umkc.edu. Also send your music file, via email, to: EnglishN@umkc.edu. Click in the table below for the various help files - In the Help/User Manual folder. The help links work only from the class disk, not on the web. NOTE: These links only work on the class disk. These are not available online. "They will need to fax us the order form, stating they are students of the University and include a copy of their student ID. They need to be full time students. The cost is 89.00 US plus shipping and handling 25.00 US." Ballet Repertoire Animations of the Peasant Pas De Deux (Giselle) , the Male and Female Blue Bird Variations (Sleeping Beauty), and the Dance of the Four Cygnets (Swan Lake) accompanied by a midi sound file and others. humuter.mov - shows rotoscoping - human dancer on video used to partner with a dancer animation. This is the library set you will be using the most. lfa files are the animation files. These are choregraphies (or examples of parts of a choreography). lfp files are the pallet files. Each pallet is a library of dance positions used in keyframes to create a choreography. Some recent DanceForms 1.0 product builds were missing the Practical Guide Support Files for the tutorials. Download the missing files here (3.5MB download) from their site. Fred Astaire and Hermes Pan. 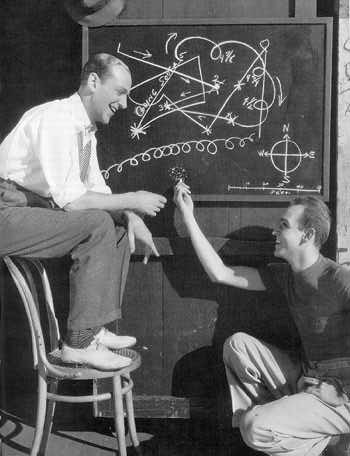 This was a studio publicity shot intended to show the two planning their choreography with the diagram on the blackboard. Neither Astaire nor Pan ever used such diagrams. The diagram on the blackboard was entirely made up by the publicity department. When Astaire saw the diagram he took the chalk and made a few marks of his own. Pan asked him what the marks were and Astaire replied, "That's the horseshit." So you know what they are really laughing about. ... leads you to a site in which you can put together a short choreo routine by a "paint-by-numbers" sort of method. This is a much simpler version of adding pallette items to the score (timeline) as keyframes and then running the resulting routine. Below we add a starting keyframe with a routine, then a set of keyframes for the bulk of the action and finally a last keyframe. When we click on the play button the file compiles and plays showing how the computer creates tween frames between the keyframes.